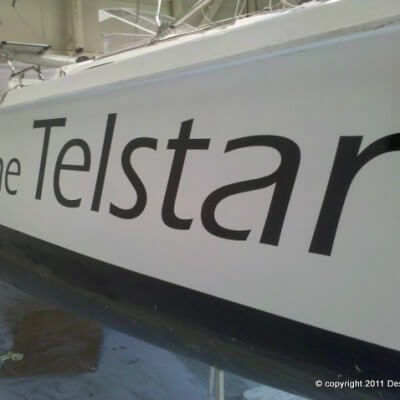 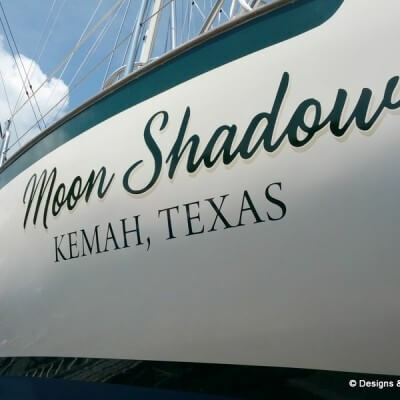 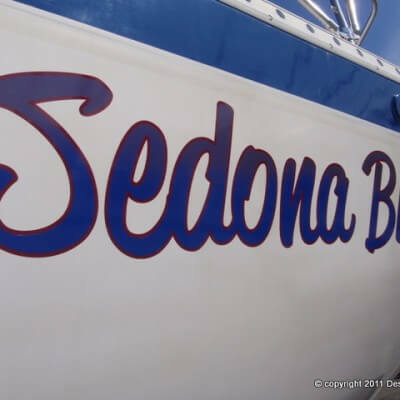 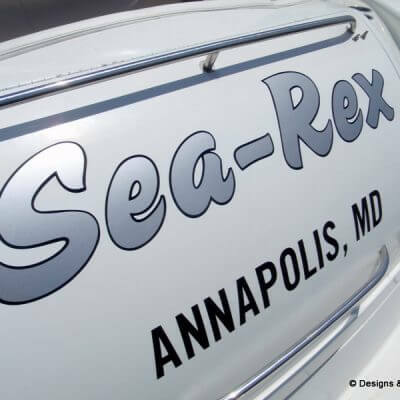 Boat names by Designs & Signs. 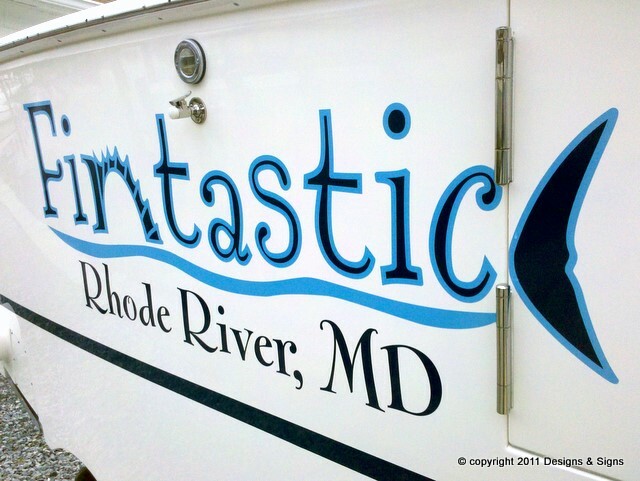 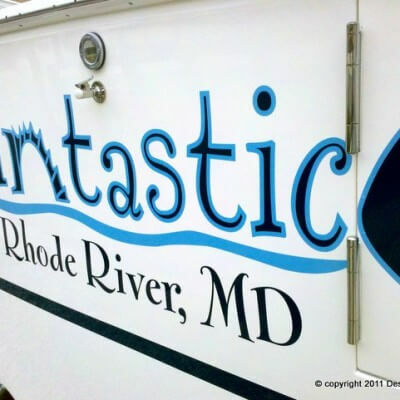 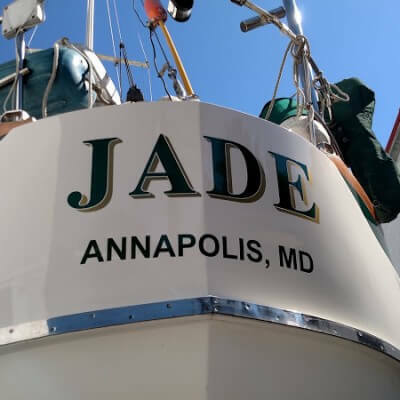 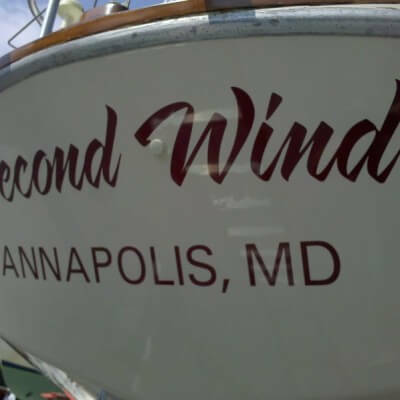 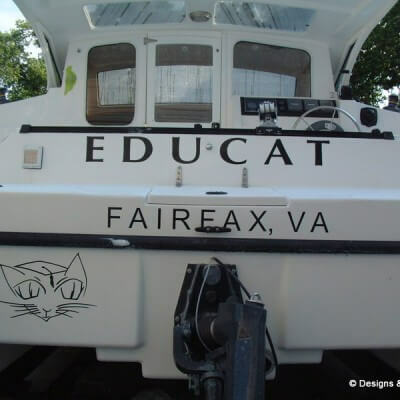 Fintastic, a custom vinyl boat name installed at Casa Rio Marina in Edgewater, MD. 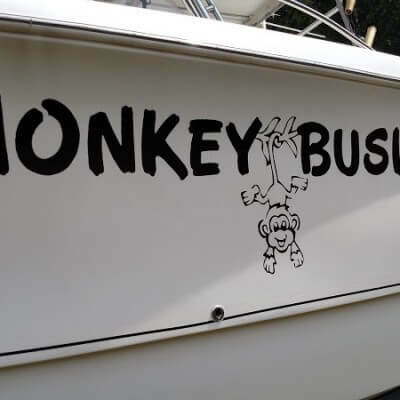 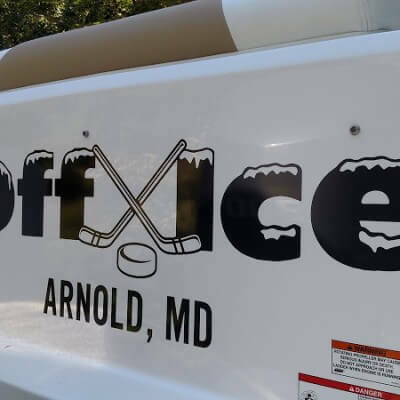 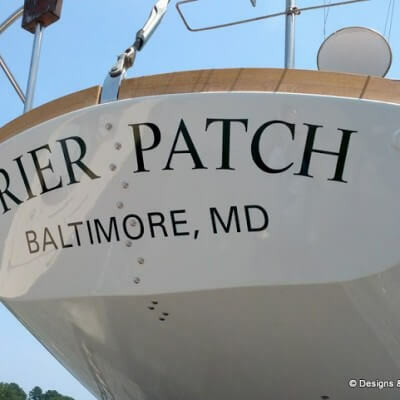 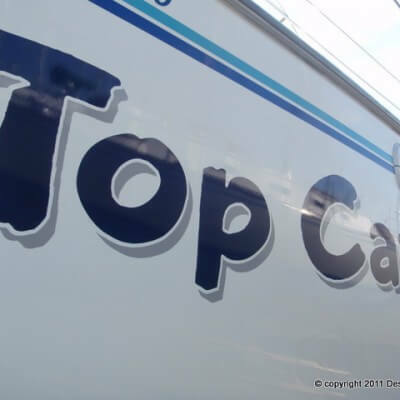 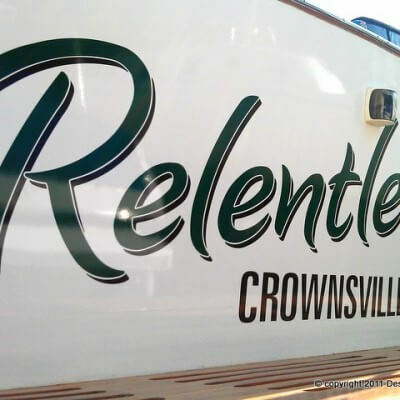 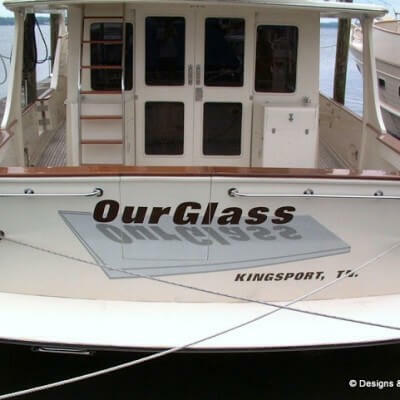 We use only premium vinyls for all of our boat names, rated for maximum outdoor exposure. 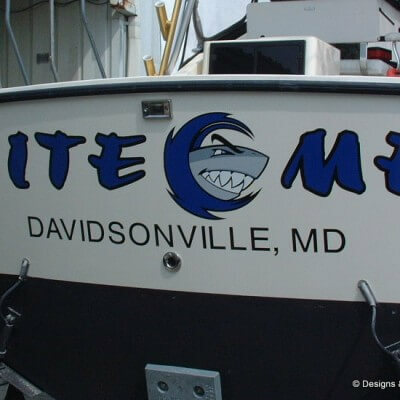 Please take a moment to browse our web site.